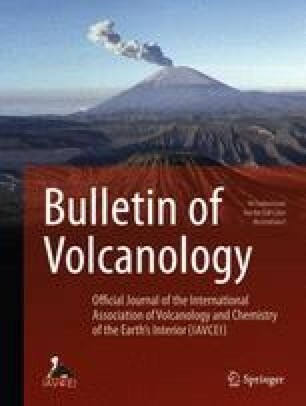 The relatively low rates of magma production in island arcs and continental extensional settings require that the volume of silicic magma involved in large catastrophic caldera-forming (CCF) eruptions must accumulate over periods of 105 to 106 years. We address the question of why buoyant and otherwise eruptible high-silica magma should accumulate for long times in shallow chambers rather than erupt more continuously as magma is supplied from greater depths. Our hypothesis is that the viscoelastic behavior of magma chamber wall rocks may prevent an accumulation of overpressure sufficient to generate rhyolite dikes that can propagate to the surface and cause an eruption. The critical overpressure required for eruption is based on the model of Rubin (1995a). An approximate analytical model is used to evaluate the controls on magma overpressure for a continuously or episodically replenished spherical magma chamber contained in wall rocks with a Maxwell viscoelastic rheology. The governing parameters are the long-term magma supply, the magma chamber volume, and the effective viscosity of the wall rocks. The long-term magma supply, a parameter that is not typically incorporated into dike formation models, can be constrained from observations and melt generation models. For effective wall-rock viscosities in the range 1018 to 1020 Pa s–1, dynamical regimes are identified that lead to the suppression of dikes capable of propagating to the surface. Frequent small eruptions that relieve magma chamber overpressure are favored when the chamber volume is small relative to the magma supply and when the wall rocks are cool. Magma storage, leading to conditions suitable for a CCF eruption, is favored for larger magma chambers (>102 km3) with warm wall rocks that have a low effective viscosity. Magma storage is further enhanced by regional tectonic extension, high magma crystal contents, and if the effective wall-rock viscosity is lowered by microfracturing, fluid infiltration, or metamorphic reactions. The long-term magma supply rate and chamber volume are important controls on eruption frequency for all magma chamber sizes. The model can explain certain aspects of the frequency, volume, and spatial distribution of small-volume silicic eruptions in caldera systems, and helps account for the large size of granitic plutons, their association with extensional settings and high thermal gradients, and the fact that they usually post-date associated volcanic deposits. This manuscript has benefited from a careful review by Steve Sparks and comments by Ross Kerr, Michael Manga, Francis Nimmo, and Tim Druitt. A.M.J. was supported in part by the Miller Institute for Basic Research, University of California, Berkeley, during the completion of this work. The work was also partially supported by NSF-EAR990959 and by a John Simon Guggenheim Foundation Fellowship to D.J.D.